Today’s free resource is a multipurpose website in PSD form and designed by Ninzio Themes .This clean and modern website template can be used for different type of sites, such as portfolio, agency, landing page and all kind of business sites. 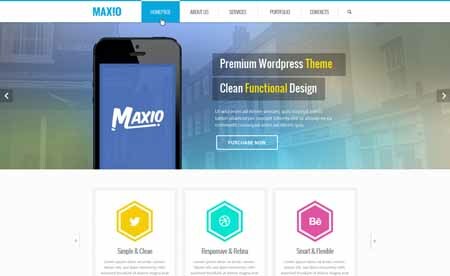 The theme comes in fully layered and organized PSD file with a homepage and an elements page. The images are copyrighted to their respective owners and were used in demonstration purposes only.